I saw this recipe in Melissa Clark’s new cookbook and had to try it. 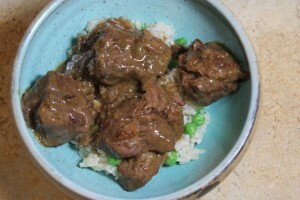 I love the flavors of coconut and beef together. The fact that she added other favorite things to it like chiles and limes only made it more tempting. This was a pretty simple stew to put together, would be suitable for serving to impressed guests. If you can find the short ribs on sale, it won’t break the bank either. I served it with her recipe for Coconut Rice in the same book. Of course I forgot to copy that recipe to bring down to Mexico and couldn’t find it on an internet search, but there are plenty of other similar-style recipes available, or you can just serve it with a plain basmati rice. Recipe from Cook This Now by Melissa Clark. The combination of beef and coconut milk makes this dish very rich and filled with a layer of good, flavorful fat. If you’d rather skim off the fat, make it several hours or even a few days ahead to give the fat time to rise to the surface, then skim off. 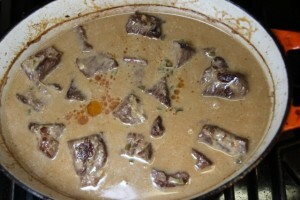 To turn this into Coconut Curry Beef, substitute madras curry powder or garam masala for the chili powder. Preheat the oven to 325oF. 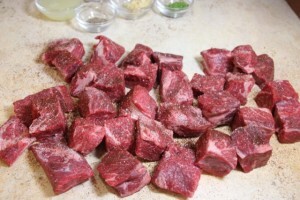 Season the beef all over with a teaspoon of the salt, the chili powder, and black pepper. In a 5-quart Dutch oven over medium-high heat, heat the oil. 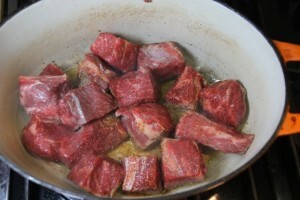 Add the beef and cook until browned all over, about 8 minutes. 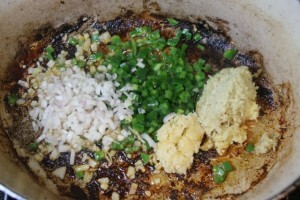 Add the garlic, jalapenos, ginger, shallot, and cumin seeds and cook, stirring, until everything is fragrant and golden, about 2 minutes more. 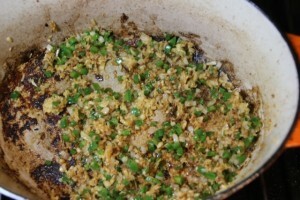 Stir in the coconut milk, lime zest, and juice, remaining salt, and pepper to taste with ½ cup water. 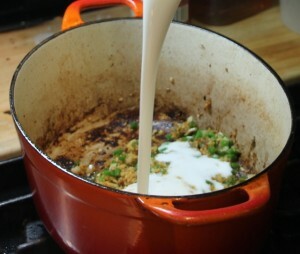 Bring the liquid to a simmer, then cover and transfer the pot to the oven. 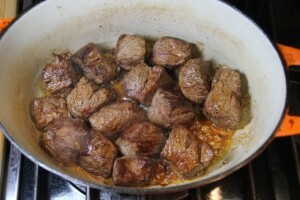 Cook, turning the meat after 1 hour, until the beef is very tender, 2 to 2-1/2 hours. 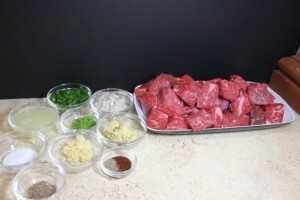 Serve garnished with the cilantro and scallions, and lime wedges on the side for serving if desired.